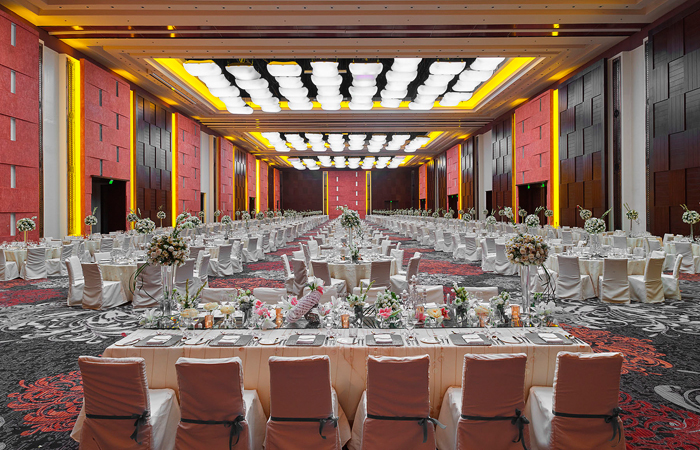 The Marriott Grand Ballroom has recently opened and corporate peeps seems to be going gaga over it. I’m not really one to be in the know, well, since I really don’t attend events that much. But for those in the MICE (Meetings, Incentives, Conventions and Exhibitions) industry in the Philippines, this is a game changer. 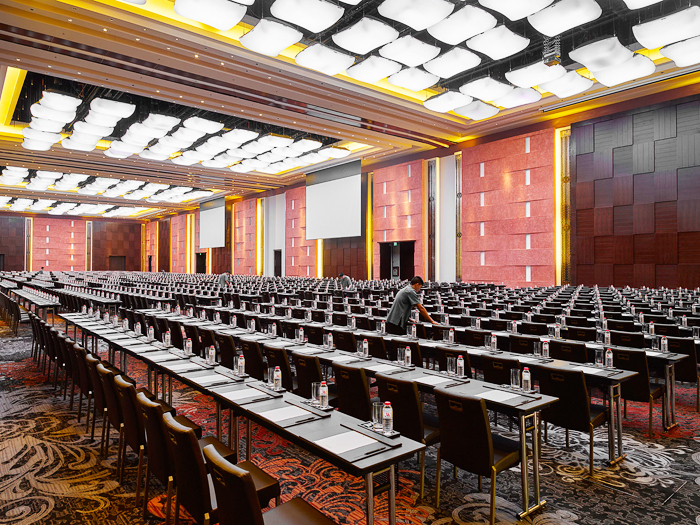 Designed by the Gettys Group with a bayanihan concept in mind, the 8,000-square meter Grand Ballroom consists of 28 meeting spaces plus 6 VIP sky boxes. That’s almost seven full-sized basketballs for us non-engineers. 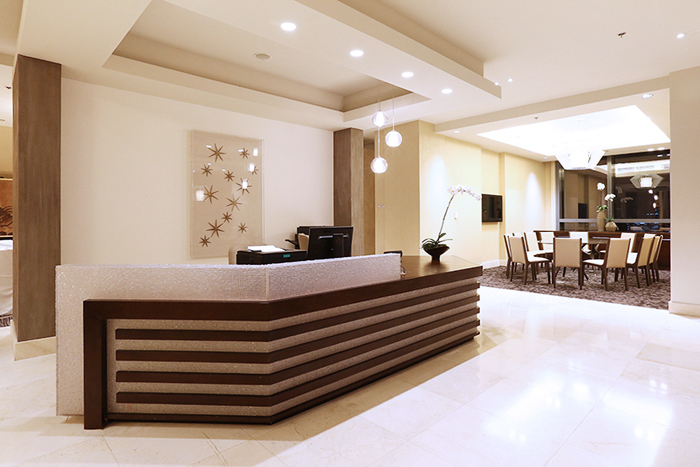 With that, Marriott Hotel Manila has upped their function space to 10,000 square meters, the biggest in the country. The main hall consists of 3,000 square meters of space. That’s great and all, but can you imagine it without columns? Imagine it. It is pillarless. It can sit 2,500 persons for banquet-style set-up and can house 4,000 guests for cocktails. The venue is also utilizing the SkyFold Technology in subdividing the area for smaller conventions. But err… SkyFold what? It’s actually a system of automatic vertical folding partitions set from the ceiling, complete with programmable lights that can project an array of up to 360 colors. This is another first in the country. One can just imagine the countless events that would transpire at this place, from snazzy weddings to groundbreaking product launches, and yes, even concerts! 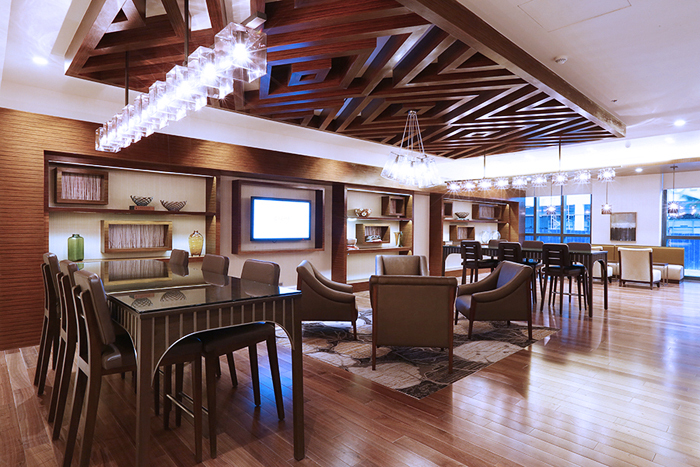 Three new dining spaces have also been incorporated into the design catering to various tastes. 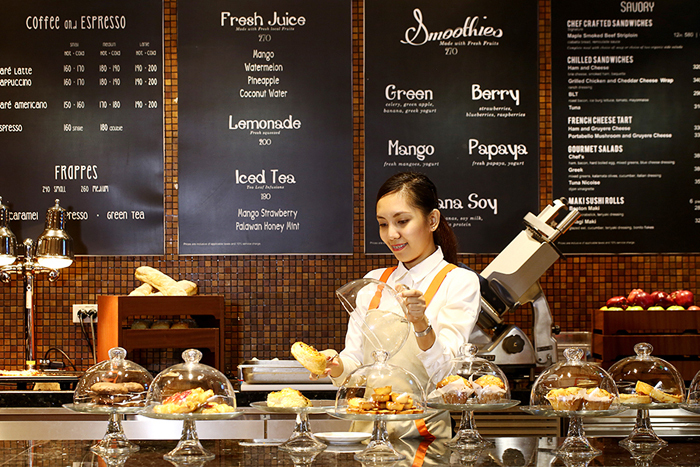 Crema, an upscale café; Mian Restaurant, an Asian noodle bar; and Allegro, a deli serving on the go dishes. 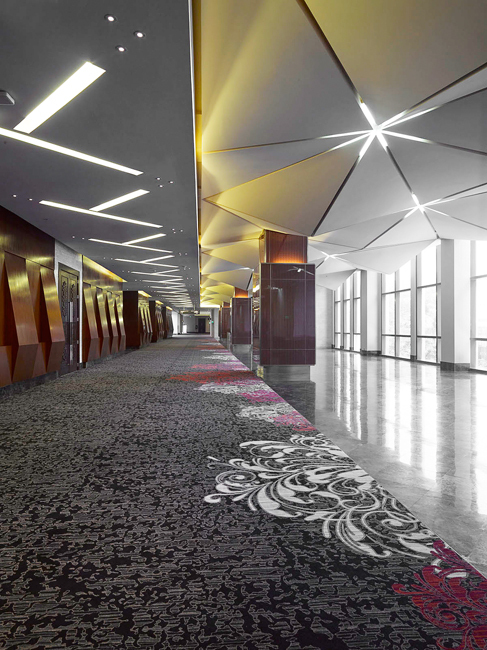 The Marriott Grand Ballroom is located in Resorts World Manila and is now ready for bookings.